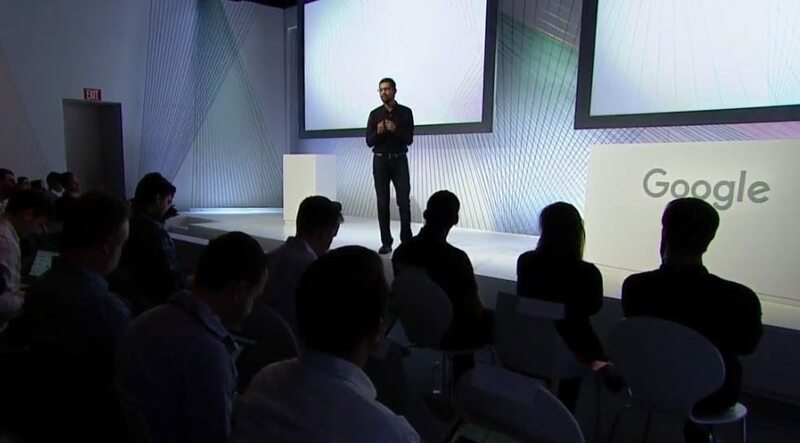 Google had announced its new Nexus lineup, Chromebook Pixel C, a new chrome cast and chrome cast audio. So let’s take a look of what these are in detail. Android and Google Play now have over 1 billion 30 day active devices and users around the globe. The Nexus 6P is made by Huawei and is made completely with a metal anodized aluminum design to give that premium design and feel and its 7.3mm thin. There are 3 colour options available: Frost White, Aluminum and Graphite. The phone has a 5.7″ WQHD AMOLED Corning® Gorilla® Glass 4 display with a 64 bit Snapdragon™ 810 processor with a 3450 mAh Battery with fast charging included with USB-C connector and dual front facing speakers, 12.3MP Sony imaging sensor with laser detect autofocus system and 8MP front facing camera with HDR+, 3GB Ram, Nexus Imprint which is a fingerprint sensor at the back of the phone. It runs the latest Android 6.0 system. It has a 32GB, 64GB or a 128GB option. 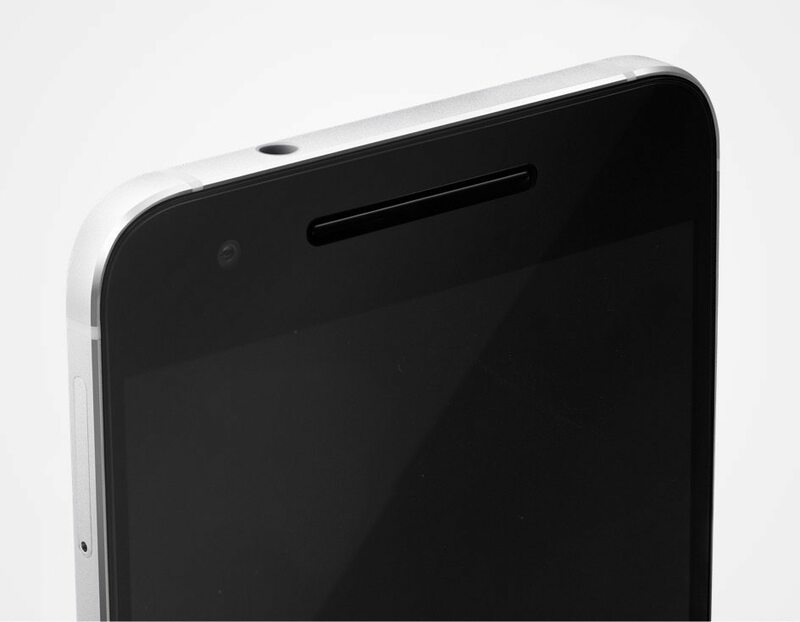 Nexus 6P on the right and Nexus 5X on the left. 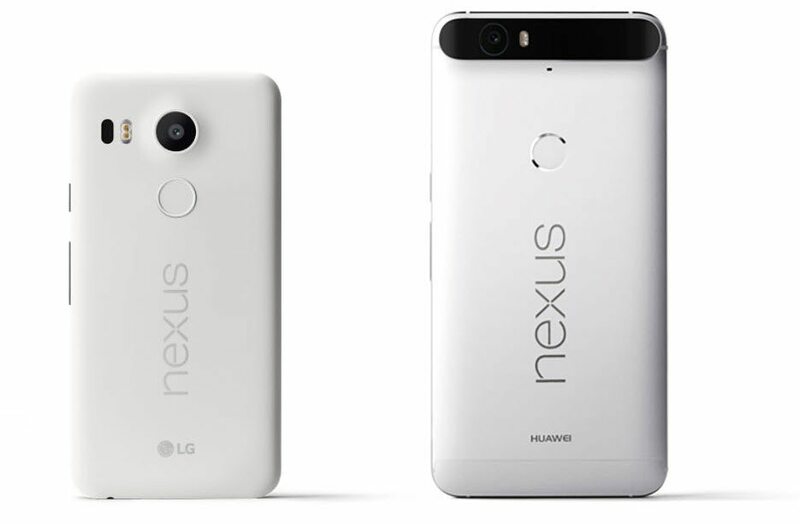 Nexus 5X is made by LG and is a more cheaper variant compared to the 6P. It has a 5.2″ Full HD Corning® Gorilla® Glass 3 display, is more lighter, has a 2700 mAh battery, 12.3MP rear camera, 5MP front facing camera, a 64 bit Snapdragon™ 808 processor, 2GB Ram, USB-C charging and Nexus Imprint. It also has 3 colour options: Carbon Black, Quartz White and Ice blue. In terms of memory you can choose between a 16GB or 32GB model. There is a new slow motion feature with the 5X giving 120fps and the 6P giving 240fps and a new smart burst feature which is similar to the iPhone burst capability capturing at 30fps. To launch the camera, you just need to double tap the power button. They also come with Android Sensor Hub which helps with activity recognition, gesture recognition optimized for low power usage. This also enables you to simply lift your phone from the table and will show you a simple glance of your pending notifications and time in a low power mode. Nexus Imprint is the first phone to implement Android 6.0 built in fingerprint capability which means the fingerprint scanner data can be used across the whole android ecosystem. It also helps you to use your fingerprint for Android Pay and on the Play Store for payment. Another good news is that there is a reduced amount of bloatware with some Google Apps which can now be uninstalled just like any other app. Pricing for the 5X starts at $379 and the 6P starts at $499. Both phones will be available on the Google Store along with other carriers and mobile phone providers along with other lineup of Android devices with shipping beginning late October. Both phones will be unlocked, come with a free 90 day subscription to Google Play Music. If you preorder a Nexus, you’ll get a free $50 Play credit which you can use on the Google Play Store. Google also launched a new program called Nexus Protect (similar to Apple Care) which provides an additional year to the already included manufacturers’s warranty giving 2 years of coverage for mechanical breakdown and protection from accidental damage. And if something does go wrong, you can a file for a new device to be given as early as the next business day which is pretty cool. It costs $69 for the 5X and $89 for the 6P launching first in the US. 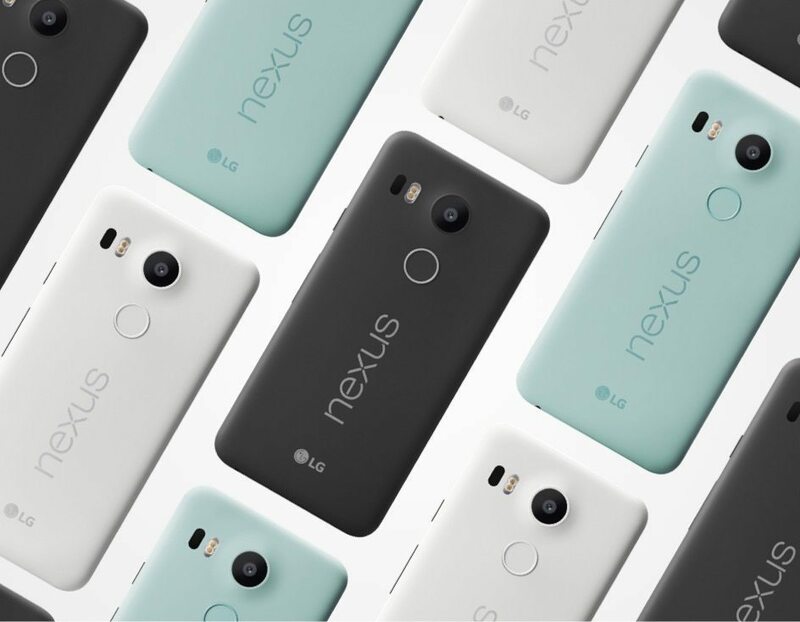 Both Nexus phones will also be able to access the Project Fi network. TV. Both features will first roll out on Android and soon to iOS. There 20 million chromecast devices sold around the globe. Google first introduced the new Chromecast which is more like a circular disc with a small integrated HDMI cable sticking out which is magnetic and attaches to the back of the chromecast for easy portability. 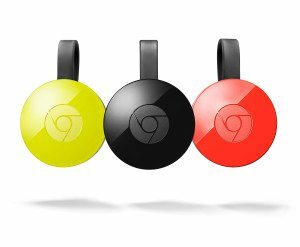 The new Chromecast also comes in 3 different colours: Black, Coral (Red) and Yellow(lemonade). The size of the Chromecast is pretty small which tucks away behind your TV. It also has greater support for WiFi performance: dual band 2.4GHz and 5GHz along with support for 802.11ac connectivity. The next Chromecast product is called Chromecast Audio which looks pretty similar except it connects to your home speaker with a lemonade colour audio cable. It supports RCA, optical audio and 3.5mm ports for audio connectivity. Chromecast audio mainly helps making an non-smart speaker smart. You can now play music from Pandora, Spotify, TuneIn, Google Play Music and other supported apps in Chromecast. Connectivity is similar to using the normal Chromecast. It uses your WiFi and not bluetooth to connect and play with the highest quality to the speaker. You will also not receive call ringtones through the speaker. The audio can also be controlled using your Android Wear watch. This works on cross platforms so on iOS along with Android. Multiple users are also also supported which means you can control anyone’s playlist playing to Chromecast Audio from your own phone or device. You can also mirror audio from multiple cross platform devices and will soon have support for multiple room synchronization. In terms of software, Chromecast app is also new which now has a ‘What’s On’ tab which gives you a single place to see the latest from multiple apps installed on your phone. It also streams in full HD to your TV. Video load times have also been improved with a new feature called ‘Fast Play’ which helps apps pre-fetch or preload content the moment you open the respective application. It also uses smart caching to load the first half of the next episode of a series when your watching the previous one so it loads quickly when you open it. Gaming on the Chromecast now uses your smartphone with the help of 2 screen which means the entire performance of the game depends on the smartphone. this is enable using the remote api’s that Google released at its I/O event this year. It also enables multiplayer mode where your friends phone can be the controller. There will also be new feeds of photos available in BackDrop from sources like 500 pixel and Getty images. 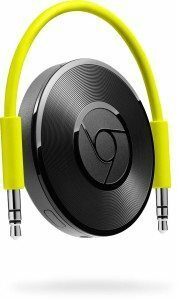 The new Chromecast and Chromecast Audio now costs $35 each and both devices are already available and can be purchased on the Google Store in addition to other retail outlets in over 17 countries. 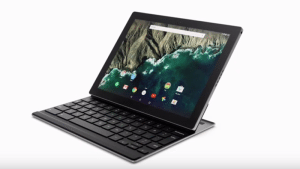 Google showed off a new product that their working on called the Google Pixel C which runs Android 6.0 Marshmallow. Its more like a tablet version of the Chromebook where the ‘C’ stands for convertible. The tablet attaches magnetically to the keyboard without any kickstand. The keyboard connects suing Bluetooth and it has a very sturdy construction. It has a 10.2″ screen with 308 ppi and a well spaced out keyboard with the same 1.4mm key travel like the Chromebook Pixel. The Keyboard also attaches out at the back of the tablet so it doesn’t get in the way if you want to use a Tablet mode. It also can be charged inductively while its underneath the tablet. The keyboard should last on average for 2 months. It has a NVIDIA X1 Quad-core processor and a Maxwell GPU and has 2 stereo speakers. There are also 4 microphones for Far field communication and charges using USB-C. You also get the signature Pixel Bar to check the amount of battery left. It will also receive regular 6 week updates. The Chromebook Pixel starts at $499 for the 32GB version of the tablet with all a 64GB version at $599 and $149 for the keyboard and will be available on the Google Store soon. Those were all that was introduced during the event. What’s your favourite?